Pop artist Romero Britto captures the fun and innocence of the beloved classic Walt Disney character Dumbo in a fresh, unexpected, and totally modern way. 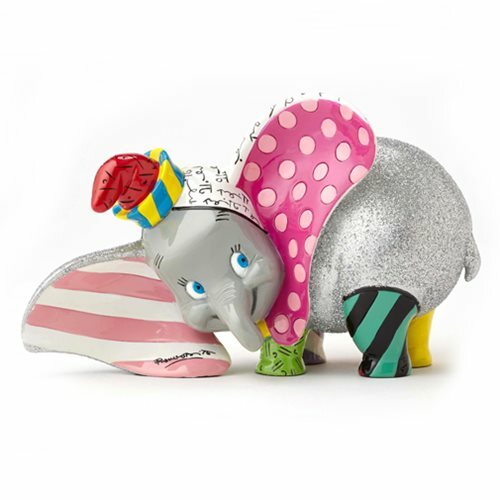 The Disney Dumbo Statue by Romero Britto is made of stone resin. Measures about 6-inches long x 3 1/2-inches tall x 2 1/2-inches wide.Ages 14 and up.